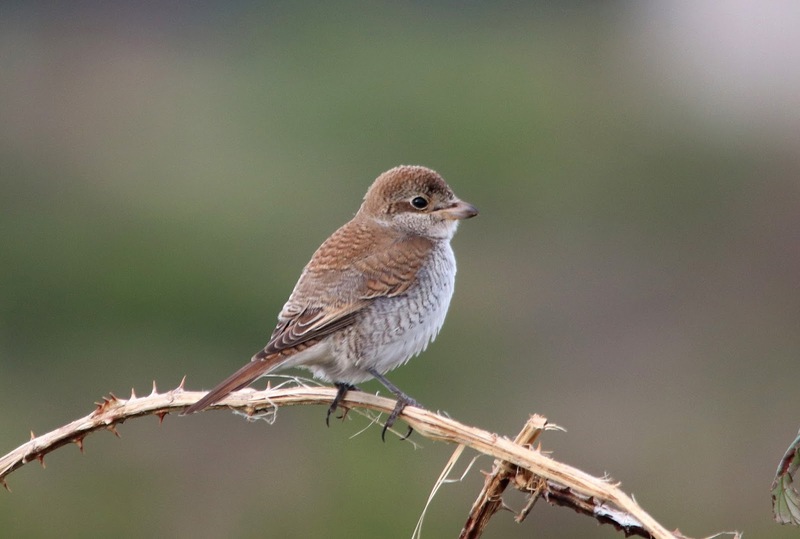 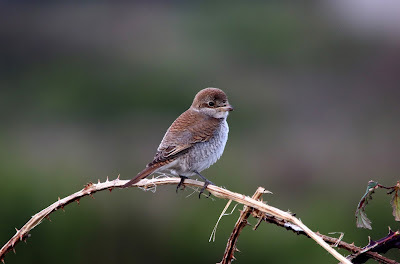 There was a small arrival of migrants this morning with five Firecrests and a Pied Flycatcher of interest and this Red-backed Shrike around Southview Cottage from mid-morning of particular note. 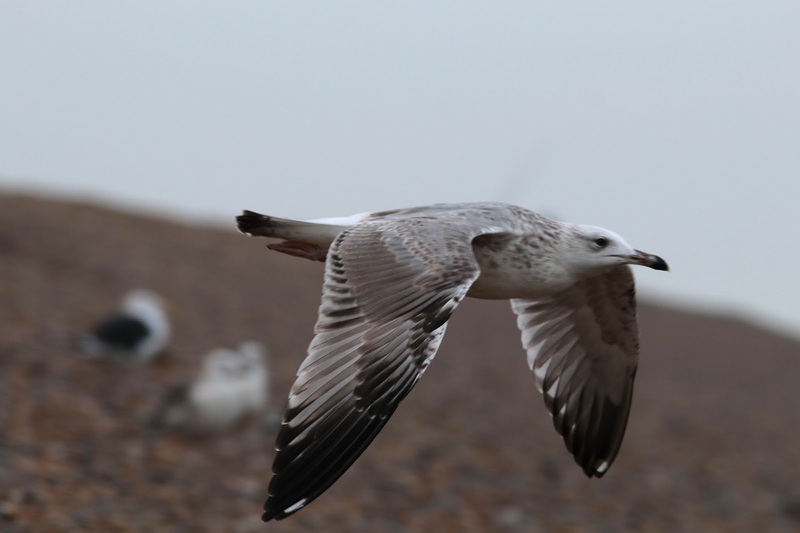 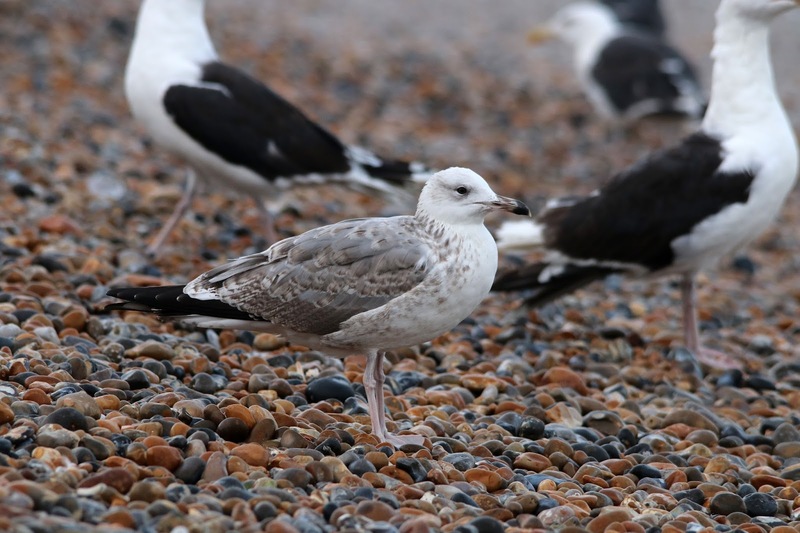 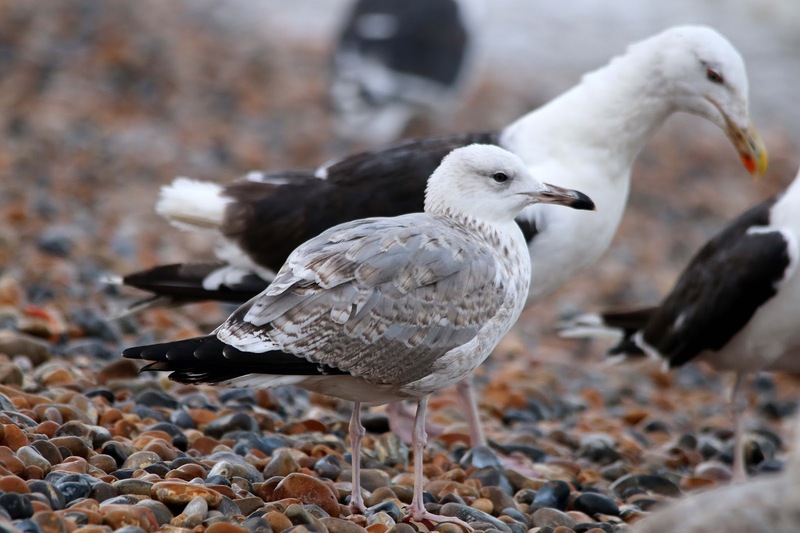 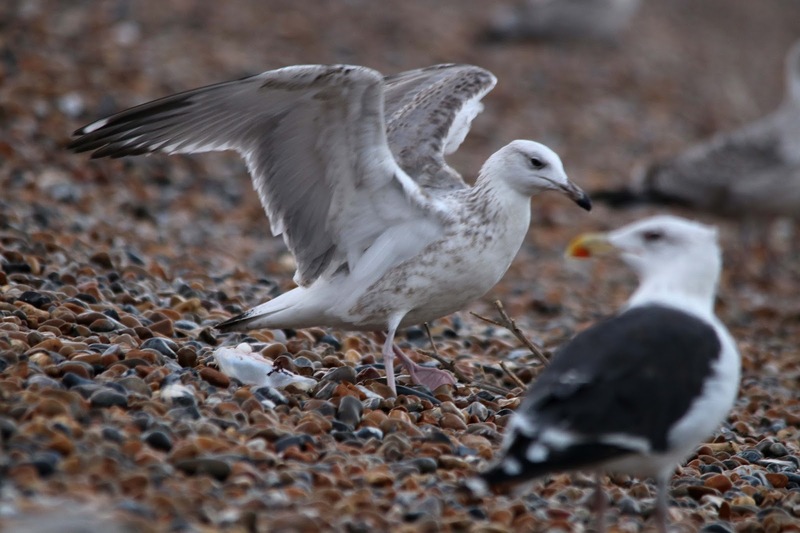 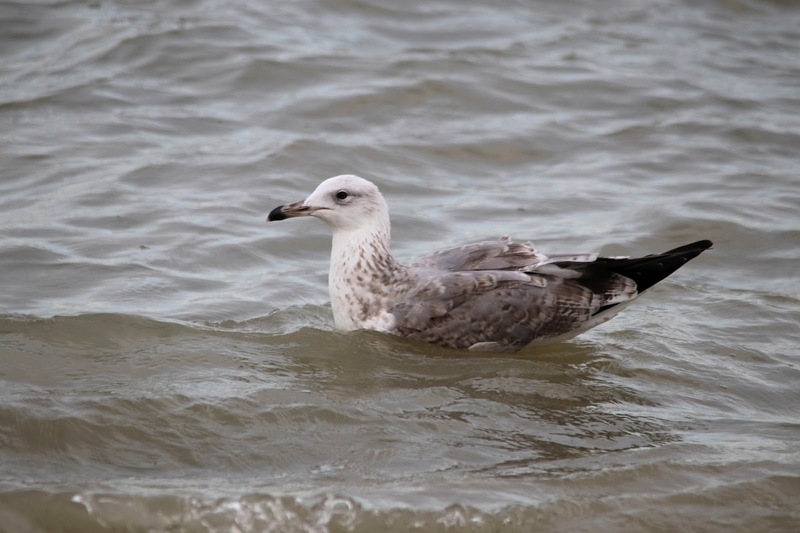 Seawatching was pretty slow this morning with 195 Brent Geese, a Shag and just a few Arctic and Great Skuas lingering or passing through but late in the day this Caspian Gull made an appearance on the beach at the fishing boats. 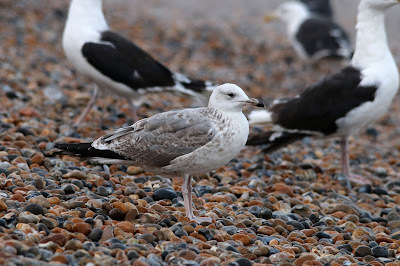 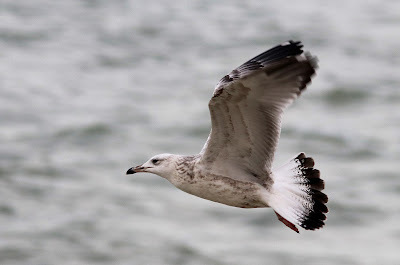 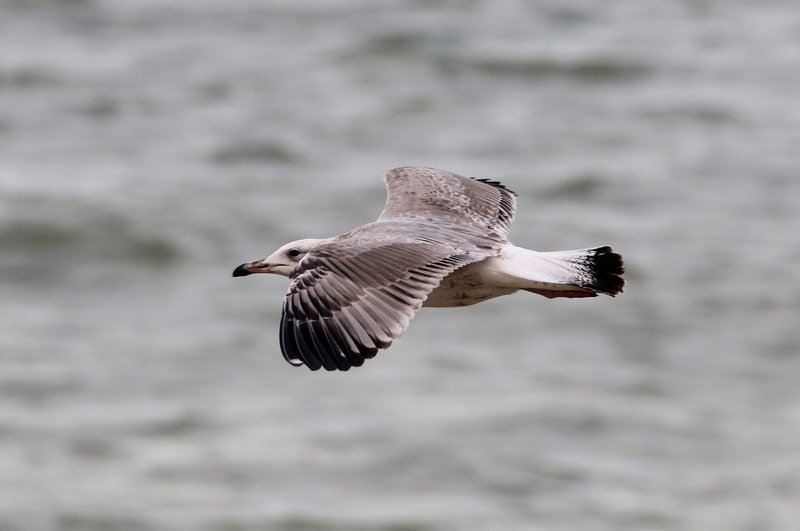 An adult Yellow-legged Gull was also seen. Five Clouded Yellows were seen during the day and a Scarce Bordered Straw was trapped overnight.